How does the above information relate to mindfulness? Water is to flowers what meditation is to people. Everyone, and I mean everyone, needs to be engaged in some kind of meditation. Without meditation, you won’t fully flourish. You may not physically die but you will surely “die” emotionally, mentally and spiritually. Meditation is needed everyday, not just when stress strikes! When I meditate everyday, I am less reactive, and I can more wholesomely cope with everyday stresses and unexpected challenges. Not meditating, even for a few days, leaves us open to falling back on negative and unproductive ways of coping. Meditating produces positive energy which allows us to engage with life with flexibility, curiosity and open-mindedness. Meditating consistently creates new neural pathways. Meditation moves us towards positive growth; it helps us decide which beliefs and expectations to keep, modify or discard; it creates a healthier, more positive status quo. Earth life is challenging. At times, everything goes along smoothly and then, whoops, the unexpected challenge(s) come. At those times, it is best to meditate more for extra support and to provide the peace necessary to make good decisions. 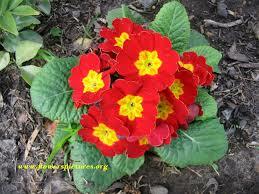 The question is: What kind of primrose do you want to be: vibrant and healthy; just getting by or dying? As usual, comments are welcome. Comment here or e-mail me at judith@judithbarnard.com. What Does Remembrance Day Look Like Today? Experiencing Racing Anxious Thoughts? Try Singing.